Join hundreds of professionals committed to enhancing grief awareness and support in our region. Pre-registration for the conference is now closed, but you can still register at the event on November 15. We hope to see you there! Join us for a day of enhancing awareness, education, and support for all forms of grief. A variety of workshops led by national, regional, and local speakers fill the day to help area professionals build their toolboxes for grief support. Download a PDF of the conference program. After the death of her husband in 2009, Michelle launched the popular blog, One Fit Widow where she writes about using fitness as a grief coping mechanism. In 2014, Michelle started a nonprofit, Live the List, to fund bucket list adventures for widows and widowers to follow the dreams they had with their late spouse. 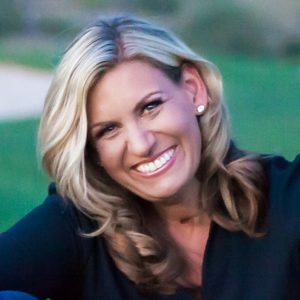 Her book, Healthy Healing, focuses on using fitness as a grief coping mechanism. Join us for an inspirational session on addressing both physical and emotional well-being in grief. 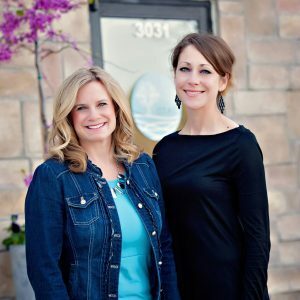 Betsy and Jea are co-founders of Omaha Therapy and Arts Collaborative with combined specialties in expressive arts therapy, trauma, and Compassion Fatigue. This workshop will provide a hands-on opportunity to utilize and incorporate Expressive Arts techniques and practices in relation to symptoms and issues related to Compassion Fatigue. Join these two dynamic presenters for an experiential workshop with practical strategies you can use for yourself and with clients. Looking for a place to stay? Book at the DoubleTree Downtown – a beautiful hotel located just a few convenient blocks from the conference venue. Shuttle service available. LMFT, LIMHP, and LPC hours. The breakout session “The Death of Promise & the Promise of Death: Substance Abuse, Addiction, & Grief” is an approved continuing education program for alcohol and drug counselors for 1.0 hour (Approval Number 18.063). CE Learning Systems (Provider #1020) is approved as a provider for social work continuing education by the Association of State Social Work Boards (ASWB) www.aswb.org, through the Approved Continuing Education ACE program. CE Learning Systems LLC maintains responsibility for the program. ASWB Approval Period: 02/23/2016 – 02/23/2019. Social workers should contact their regulatory board to determine course approval. Social workers participating in this course will receive up to 6 continuing education clock hours. A continuing education certificate for the event will be obtained using the website, CE-Go. Approximately 3 days before the event, you will receive an email containing a link to CE-Go. (This link will be sent to the email account you used to register for the event). If you have any questions or concerns regarding the CE-Go process, please contact CE-Go at 877-248-6789 or by email at support@ce-go.com. A $50 cancellation fee will be assessed for all cancellations up to 10 days prior to the event. Written notification of cancellation must be provided to Grief’s Journey. No refund will be provided for cancellations less than 10 days prior to the event. Your safety is important to us. In the event that the event is cancelled by Grief’s Journey due to inclement weather or emergency, all registrants will receive a full refund. If the event is postponed or rescheduled, no refunds will be provided.